Have you heard the buzz? The Vaughn Cottage Museum artifacts are the subject of a brand new book! The pages are curated by Tara Kelly in collaboration with Melissa Saggerer, and the photographs were taken by Mikael Kennedy, all of whom are former Pelicans! 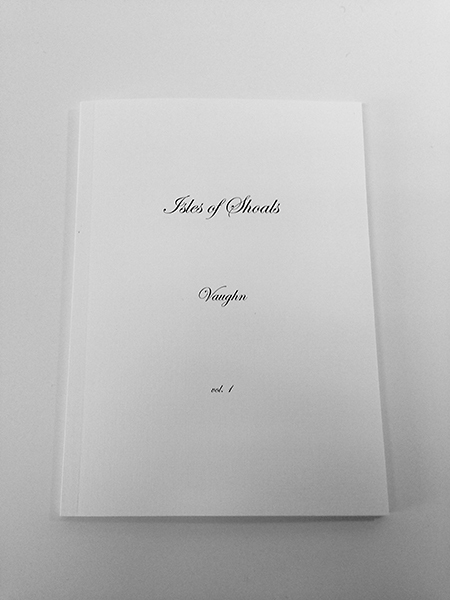 To preview and purchase your copy of the Vaughn book, click here. Books may also be purchased here on Star Island in the lobby book store. *All of the proceeds benefit Vaughn Cottage and the Thaxter Museum. Thank you for your support! This book is amazingly well-done and the photos are simply classic—a beautiful display of the Isles of Shoals history.